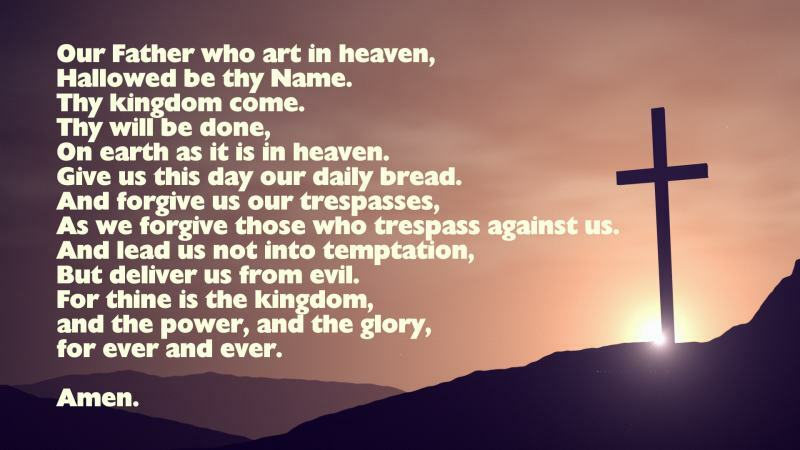 It is thought that Lord's Prayer first came into print with the publishing of the Gutenberg Bible, which was developed between 1550 and 1555 in Germany, the prayer featuring in Matthew 6:9-13, and Luke 11:1-4. This was the first work of the Gutenberg printing press, and around 180 books were printed. The method used was a combination of Gutenberg's revolutionary alloy type molds, with a new sort of ink (one which was made from made from oil rather than water based) printing on paper. (The idea of paper had been "imported" from the Chinese, via the Arabs). The first printed version of the scriptures in the English language came with William Tyndale. In 1525, Tyndale began work on a translation of the New Testament. He then later completed an Old Testament translation, and it was these works that would become the basis for the publishing of the "Great Bible" in 1539. Two other versions in print were to follow - the Geneva Bible (popular amongst lay people) and the Bishops Bible (1568). However, the Church of England felt that these versions were ultimately flawed because the texts did not square with the organisational leadership structure of the church (one of ordained clergy). To correct these (and other) problems from earlier versions, in 1604 King James of England convened the Hampton Court Conference, and commissioned what was to become the Authorized King James book of the bible, published in 1611. This was a landmark achievement and is still considered by many Christians to be the definitive version of the scriptures. It is this version that forms the basis for the traditional Lord's prayer, found in Matthew's Gospel. It should be noted that this version includes the doxology ("For thine is the kingdom, and the power, and the glory, for ever and ever. Amen. 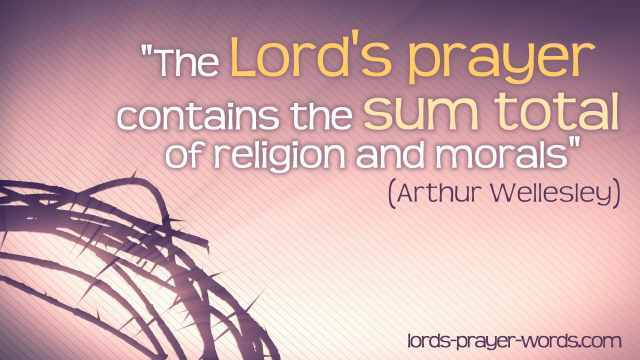 "), words which are omitted in the Catholic version of the prayer. (Taken from the Anglican Book of Common Prayer, 1662).